Area Involved Above is a map showing most of the sub unit A planing area. Although we are called the ‘Mazama Advisory Committee’ (MAC) we cover everything in school district 350-A. It basicly includes everything in the hydrologic drainage in the upper Methow river drainage (not the Chewuch river side) from Winthrop north. Isolated ownerships such as mining claims are included. Official Formation MAC was officially created in 1984 when a group of citizens were appointed by Okanogan County officials to help develop planning recommendations as part of Sub-unit A. These recommendations built the foundation for a subarea plan to the Okanogan County Comprehensive plan of 2014. It is titled Methow Valley More Completely Planned Area Sub- Unit A. It is also has been known unofficially as the Mazama Plan. 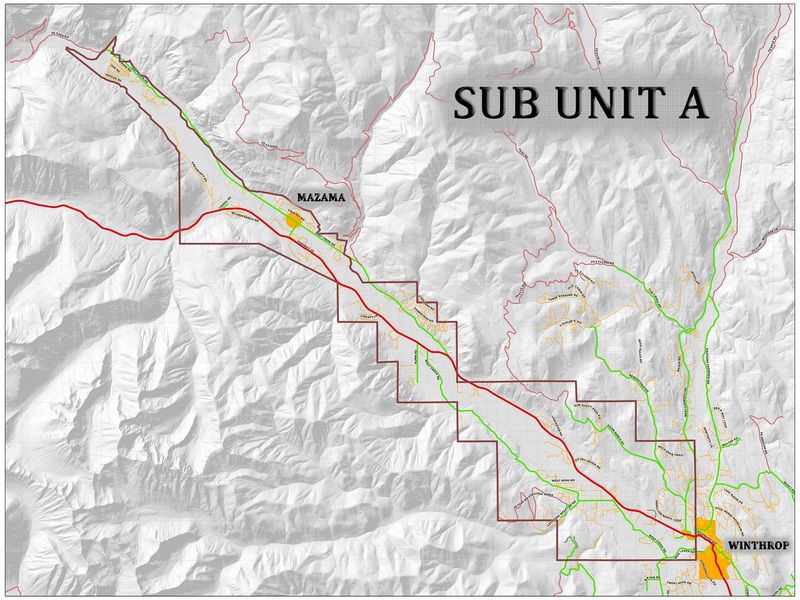 Another plan, within the subunit, addresses in detail the core business area of Mazama which lies basicly between the Community Center and the Mazama Store. 1. Insure citizens have the opportunity to be involved in all phases of the land – use planning process and other aspects of County government that relate to the area. 2. Increase effective communication between citizens and County officials. 3. Encourage and obtain citizen input summarizing the varying points of view on those matters brought before MAC and convey this to the Board of Commissioners, the County Planning Commission, and to other County officials. 4. As appropriate, assist the Board of Commissioners and the County Planning Commission and staff in informing and educating citizens regarding land use planning. Involvement If you are planning a project in our area and would like to consider comments from the Mazama Advisory Committee, please contact a committee member. Type in words of any MAC subject of interest.